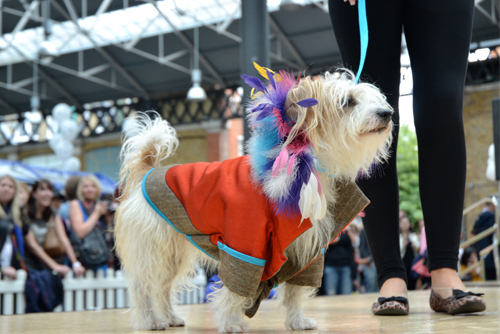 The entertaining Paw Pageant event takes part in London for the third time. Two years were enough for paw friends in the city to fall in love with this awesome four-legged catwalk. This year’s Paw Pageant fest is organised in the end of August as the tradition says. Sweet pooches, skillful mutts and posh canines will come together to celebrate the summer dog holiday, while their nice owners can celebrate their achievements in training and taming! If you have a lovely dog at home or a hound, which has super abilities, bring it and join in the show! It is not only show, as a matter of fact! Nominations, awards and contests are organised to select the best dog in London. Timing and date – the event takes place on 26th of August – Monday. The show starts at 1 pm and continues till 3,30 pm! More than two hours in fun, doggy adventures and super challenged will definitely make your day! Prices – 5 pounds (pre-registration) and 8 pounds on the day. Category for nominations – from “Dressed up to the Canines” to Jimmy Chews! And, of course, the traditional contest for the Naughtiest dog is also included in the program! Additional parts in the Paw Pageant event – puppy training displays and bow-wow market, where you can buy the healthiest and the yummiest food for your dog! Join the Paw Pageant event and celebrate the holiday of man’s best friend! Bring your best four-legged friend, too!